Narratives are an integral part of our lives. As narratives are built, they in turn, build our histories, legacies as well as heritage. With time these narratives get consumed even as they are being continuously formed and re-formed. Their contexts, contours and details change and yet they remain the same in so many ways. In our hurried and busy existences, it may be difficult to witness these changes or these narratives. That’s why every now and then it becomes important to take some time out, take a step back and absorb this ever-evolving history and heritage. One such opportunity is the ongoing Indian Heritage Walk Festival. Set in different Indian cities, this festival jointly organised by the Sahapedia and Yes Bank is celebrating the heritage of these cities the entire month of February, by organising walks based on different themes, including one in Agra as well. Centuries of history, different rulers and regimes and their architectural and socio-cultural legacies make, the once capital of Mughal India, Agra a perfect place to celebrate heritage. While most tourists and even people in general associate Agra’s history with a few monuments, the oldest part of the city is a treasure trove for cultural, social and architectural heritage. And who better to walk people around in these parts than someone who has grown up right here. Tahir Ahmed, a filmmaker and a storyteller, whose family has lived for generations in the old city of Agra, was the walk leader this Sunday as he took a small bunch of people roaming in the narrow but history laden streets and lanes of old Agra city, settled by Mughals alongside the red fort and Jama Masjid. The walk began from Jama Masjid, the huge mosque that architecturally anchors the entire area with three of its entrances opening up to different lanes and streets of the city. The main entrance of the mosque, as Tahir informed, was destroyed by the British after the 1857 revolt as it provided a strategic vantage point for the Mughal army as well as mutineers, by blowing it up with explosives. One shop that had stood witness to this destruction in the early hours of that morning was the age old famous Chimman Lal Poori Wale. In business since 1840 right in front of the main entrance to the mosque, this shop has thrived for centuries as people from all over the city still throng to it for early breakfasts, brunches and snacks even today. Food is an integral part of Agra’s lifestyle. Different areas are not only known for what delicacies they serve but also the specific times that they open shops. And perhaps this fondness of food has been rooted in the DNA of the city right from its inception as evidenced by numerous food and snack shops dotting different parts of the old city, in business since ages. 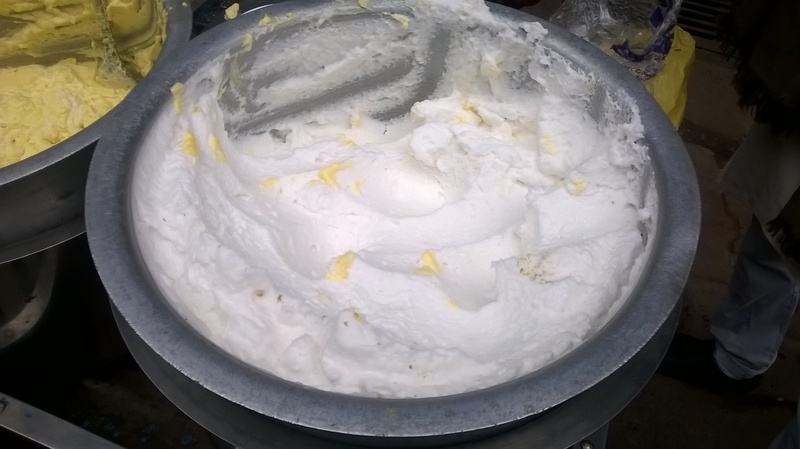 Be it the Sindhi speciality ‘Pakwaan’ or the ‘Malai Makhan’ (known differently in different places) or the Naan Khatai or the milk cake or the numerous other food items, you may find all of these here. As the wide variety of food indicates there is a confluence of cultures and ethnicities here which truly makes this part of the city a melting pot of cultures, more so than others. 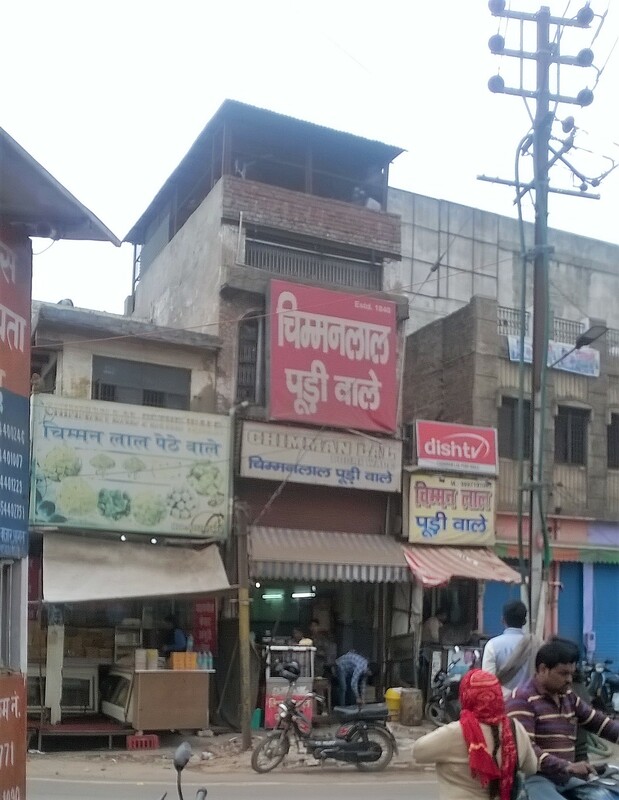 If you want some airy and delicious ‘Malai Makhan’ in Agra head straight to Rawat Pada right in the centre of Old Agra. 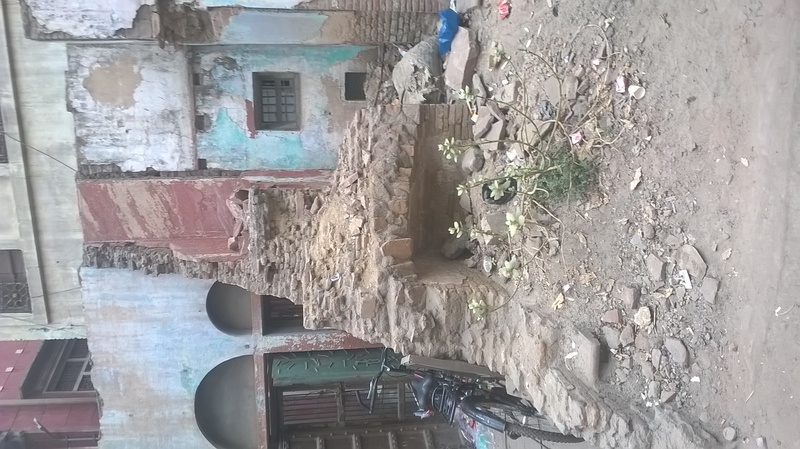 While the city had always had people from different social backgrounds living here, Tahir relates some specific points in history when particular communities settled here. For instance, the presence of Sindhi population in this area dates back to partition when Sindhi people who migrated from Pakistan to India settled here and due to cultural and linguistic similarities soon mingled effortlessly with the locals. This convergence has been an underpinning of this area. 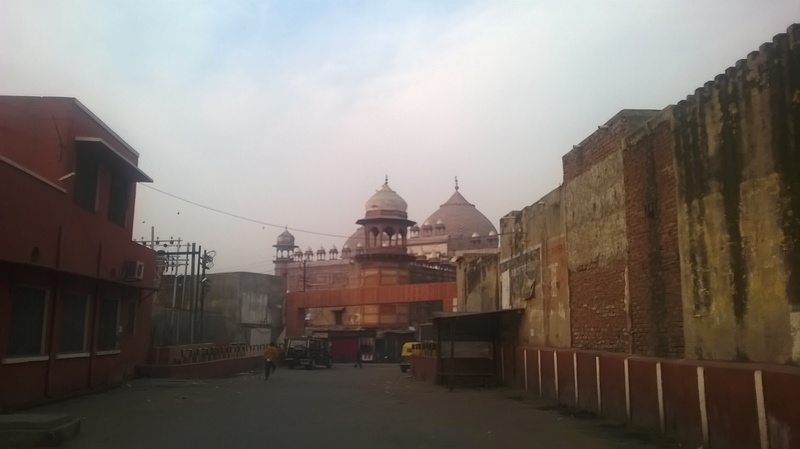 The harmonious coexistence of the Jama Masjid and Mankameshwar Mandir in close proximity for ages is a testament to this phenomenon, a point worth remembering in times when attempts are aplenty to reconfigure this narrative for the worse. Another old building bites the dust to give way to a new one. 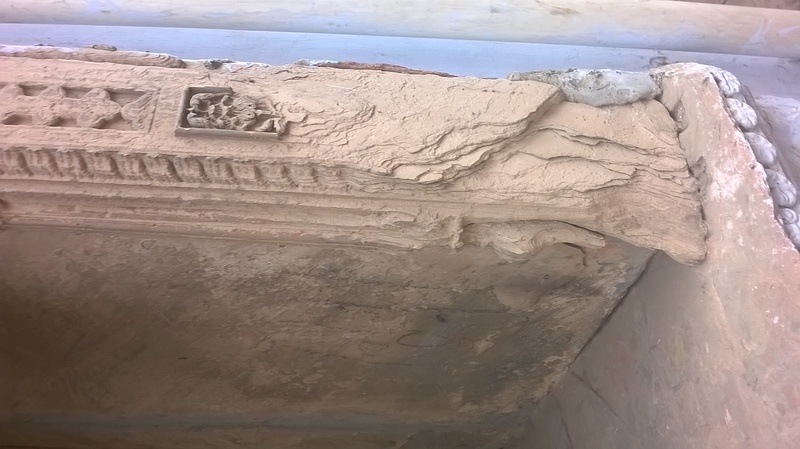 Another convergence that has been highlighted before as well in a similar coverage of another heritage walk led by Tahir is that of the old and new. With time new architecture and exteriors have come up alongside the older ones and in some places, they even overlap. As older buildings are being abandoned giving way to the newer ones, such walks are perhaps the most optimal opportunities to take stock of what all is being lost as the old structures lay brutally exposed. Not just the artifacts but even the storage units in this old little marble shop ooze history. 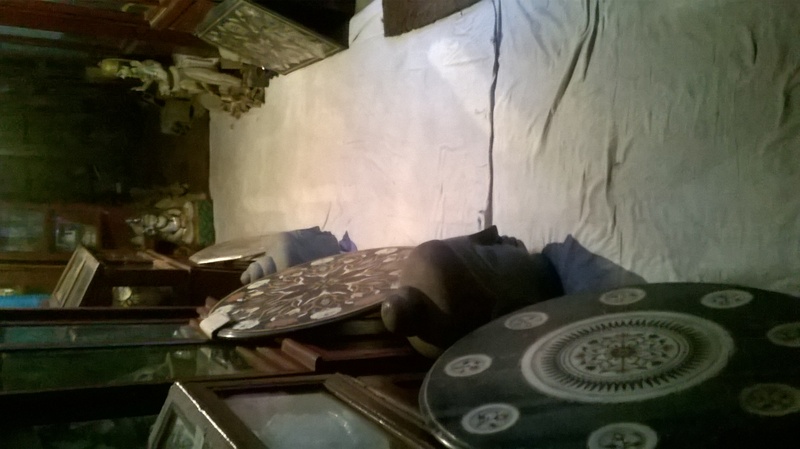 But a quaint marble handicraft shop or an old timey haveli will remind you that sometimes the old and the new can happily coexist as they try to hold onto their own bits and pieces of history while they continue to create newer artefacts. Perhaps these confluences and convergences can be called a pickled narrative or pickled history, where with time, history is preserved as it is also consumed, while the tastes and textures keep developing all the time. Such heritage walks are a wonderful opportunity to taste these pickled histories. Tahir Ahmed is a filmmaker and storyteller who along with some of his fellow art, culture and history enthusiasts is currently developing a collaborative space for artists in Agra by the name of UP80.